Welcome back for Day “U” of the Spanking A-Z Challenge. Phew! I’m almost there! I decided to go with one that made me smile. That’s probably not the most politically correct way I could discuss a female character from a favorite book or movie; but I am using the term as symbolism , so please don’t jump all over me and call me a meanie. This is metaphorical. Or allegorical. Or whichever “ical” means “symbolic”. Everyone knows the story of the Ugly Duckling, hopefully. and eventually became the most beautiful swan of all. This happens in a lot of books and movies. a young woman who does not yet know her own worth or beauty; who needs a tiny nudge, to grow, and then blossoms into a beautiful “swan”, having never know she was capable of such beauty. Neither one should have been considered unattractive. Both were beautiful, in their own ways, before the transformations took effect. 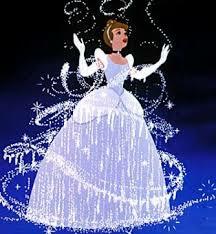 In fact, Cinderella’s fairy godmother, only did her hair, and gave her a pretty outfit (and glass slippers, of course). Nothing else, was really altered in her appearance. It seemed that the self realization that she actually was worthy of being seen as beautiful was what transformed her. Gracie Hart (played by Bullock) did receive a very good session with some wax strips, and learned how to walk in heels without falling (more than twice, anyway 🙂 ). But once again, I would say that all she really needed, was to believe in herself. Besides, her beauty came from her wit and humor. She was the perfect package once she gained a bit of self confidence. 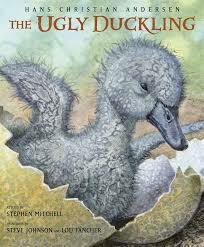 An “Ugly Duckling” can also be seen as the one who doesn’t quite fit society’s “norm”, but decides to go her own way. 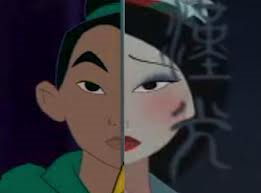 As far as being true to yourself and your own beauty , Mulan is my top pick! Instead of acting in a way totally opposite to her nature, she runs away and joins the military- pretending to be a man (you all know this story, hopefully), so she can save her father. But my favorite “Ugly duckling” scenario is the one where the gal is liked for who she is – even before her transformation. And this one goes to Mia (Anne Hathaway) from the Princess Diaries. LOL, she was a little rough around the edges, and had a bit of a need for eyebrow tweezers too, but I adored her. She was just so funny and charming and real. I would be lying if I said I didn’t prefer her transformed look- she did look naturally beautiful. But what I loved about her story, was how she used her transformation and maturity to not completely change, but just to grow. She kept her quirky, fun personality and quick wit, but learned the presence of a leader. That’s not what I love so much about the story, though. What I love about this story is that the male character who finally became her boyfriend, was not some prince, or rich dude who finally saw her after her transformation. No, he saw her, and liked her, when she was just plain Mia, or as she said in one of my favorite quotes. I loved all these different women for different reasons, and loved their stories! I loved how they each transformed into beautiful women without losing themselves in the process. They were not really “ugly ducklings”. They were swans in training , who for whatever reason, just weren’t ready to acknowledge their beauty. I love “ugly ducklings” as characters. I love watching their transformations. And the only ones I find to be truly ugly, are the characters with the black hearts; the ones who revel in the displeasure of others. Long live the beauty of the “ugly ducklings”. This entry was posted in Spanking A-Z and tagged beauty in flaws, spank a2z on June 23, 2014 by katherinedeane. I used to do heels in my younger (pre-knee replacement) days. I loved them, they do such nice things for your legs. A few years after my first knee was done, my daughter bought me a pair of shoes with thick 3 inch heels and I was able to wear them for a few hours. But after the second one was done (4 years ago now) I have tried and just feel like I’m gonna fall. So no more heels for me. When you think about it, there are no ugly ducklings. It just takes self-confidence to come out of that mode. Which admittedly is not always easy to come by. I’m so glad they have started making cool looking orthotic sandals. And you are so right about the self confidence. Loved this post Katherine. 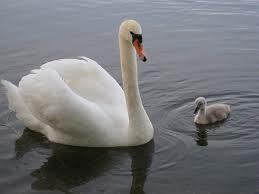 They are all great characters and I love what you said about them not being ugly ducklings but swans in training. I love this! 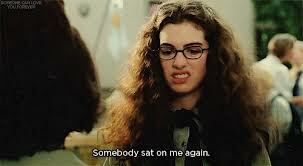 Princess Diaries is such a great movie. I think most women can relate to any if the stories and movies you listed. Nice post!! hehe, I loved this movie! Have you seen Ella Enchanted? so sweet. your author name should’ve had the word princess in it. Princess Deane. KP Deane (Katherine Princess). 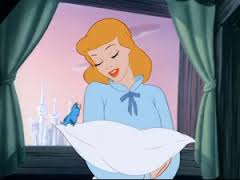 Not because you’re prissy like a princess, but because you’ve got the fairy tales NAILED. LOL, it must be my inner child. I love this stuff. I wish it weren’t frowned upon for a (almost) 42 year old woman to love this stuff. ah heck, what do I care. I love fairy tales, and fantasy, and Buffy, and Disney, and I don’t care who knows it! 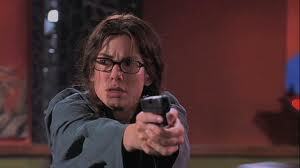 I love the Princess Diaries!!! And Miss Congeniality! Ah the magic of movies, put some glasses and braces on them and we should forget that they are knock out gorgeous. 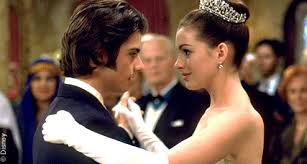 But you are right, I loved the Princess Diaries that he loved her before she was a princess, it makes me cry.